Universities are addressing a current shortfall of primary care doctors — and the threat of a broader physician shortage within the next 15 years — by taking new and dramatic steps that could reshape medical training across the nation. Most recently, New York University School of Medicine announced that it would offer free tuition to all medical students regardless of financial need. School administrators said the move is intended to alleviate the burden of medical school debt, draw in a more diverse group of candidates and encourage students to enter primary care and other less lucrative fields in comparison to more specialized areas. “Aspiring physicians and surgeons should not be prevented from pursuing a career in medicine because of the prospect of overwhelming financial debt,” Dr. Robert Grossman, the dean of the NYU School of Medicine, said in a statement. Other universities and organizations have implemented similar programs. Case Western Reserve University School of Medicine, for example, has been offering free tuition for students since 2008. It requires its students to stay in school for an extra year to conduct medical research. What makes NYU’s initiative different is its scale. There were 605 medical students enrolled at NYU in the 2017-2018 school year, and every single student will now receive free tuition up front with virtually no strings attached. Medical researchers are hailing the decision as a positive step forward but also caution that it might not be replicable for programs with a larger student body, and also that it is not a silver bullet for the medical profession’s deeply entrenched problems. 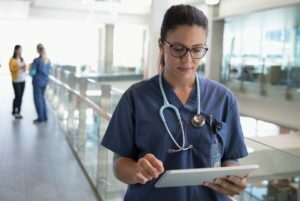 “Changing one thing won’t fundamentally change the makeup of the physician workforce,” said Dr. Peter Bach, a physician and health policy researcher at the Memorial Sloan Kettering Cancer Center. Right now, the U.S. needs about 13,800 more primary care physicians to meet current demand, according to federal government estimates. That shortfall is only expected to grow and the problem is not limited to primary care. By 2030, the Association of American Medical Colleges predicts the nation will have a shortage of between 42,600 and 121,300 physicians. Medical students incur, on average, about $200,000 in debt, which some scholars say is a deterrent to entering medical school at all. Students also tend to choose specialties that will earn the most money and, therefore, allow them to pay off their debt as quickly as possible. If you can eliminate the debt altogether, students should, in theory, feel free to choose their career path without worrying about money and will therefore be more likely to enter medical school to begin with. They also might be more likely to choose practice areas that have the most need. According to the Bureau of Labor Statistics, the top 10 highest paying jobs are all in medical fields. Medical students incur, on average, about $200,000 in debt, which some scholars say is a deterrent to entering medical school at all. Even some of the lowest-earning doctors, such as pediatricians and family doctors, are paid an average annual salary of $187,540 and $208,560, respectively. That is more than three times the median household income in the U.S. The problem is that doctors don’t receive those salaries until about seven years after they enter medical school. “Despite being paid quite well on the back end, it is a difficult financial path to traverse to get that money,” said Dr. Amit Phull, the vice president of strategy and insights for Doximity, a network of health care professionals. Potential students, especially those coming from lower-income households, might be intimidated by the up-front costs and take another career path altogether. The number of people applying for medical school has increased 35 percent over the last decade, while acceptance rates to medical schools have dropped. Those numbers are why Bach is not convinced NYU’s approach is the solution. “Maybe it attracts people of less means, and that’s also a good thing. But whether we need to give people more subsidies to go to medical school is at best an open question,” he said. Bach advocates for a different approach: shifting the federal subsidies that are already earmarked for residency training at hospitals and distributing that to medical school tuition. That way, students are not incentivized to go into specialty fields over primary care. He admits this is an idea that has not garnered much support among universities who would have to give up control over their tuition rates. Instead, universities and the federal government have opted for other ways to encourage more students to enter fields that are facing shortages. The federal National Health Service Corps, for example, offers to pay medical students’ tuition if they agree to practice in an underserved area for two years. Since 2013, the University of California Riverside Medical School has been giving out full scholarships to students based on need and whether a student expresses willingness to stay in the region when they graduate. “We’ve had a very successful if brief track record,” said Dr. Paul Lyons, an associate dean at the UC Riverside School of Medicine. More than a fifth of UC Riverside’s students go into primary care, higher than the national average of about 14 percent. Fifty-three percent of UC Riverside’s students also come from economically disadvantaged backgrounds, and research shows doctors from underserved communities are more likely to practice in places similar to where they grew up. But Lyons admits the university’s success is only anecdotal. Is free tuition enough to outweigh other factors? “Medical students do worry about their debt, but there’s also some evidence that without debt, people would [still] be influenced by the pay gap between primary care and specialists,” said Dr. Julie Phillips, a primary care physician and Michigan State University associate professor who researches the consequences of medical student debt. Primary care doctors make about half as much as some specialty physicians such as orthopedists, plastic surgeons and cardiologists. Even if NYU’s program proves successful, there is still the question of whether it could be replicated. Specialities also often come with more flexible lifestyles than primary care physicians who work long hours and report a higher rate of burnout. In the U.S., jobs that pay more money are seen as more valuable, so often medical students want to take jobs with higher salaries, no matter how much (or how little) debt they have incurred. On top of all this, each student responds differently to financial stress and has different career goals. Some students might be less willing to take on debt. Others might have no interest in being a family physician or pediatrician simply because of the nature of the work. Even if NYU’s program proves successful, there is still the question of whether it could be replicated because of the financial cost. NYU is paying for the tuition out of its large endowment. That is not an option for many universities that do not have a large donor base. “If we lived in a perfect world, I think what I would ideally like to see is that there would be enough economic support for all students contemplating careers in medicine,” UC Riverside’s Dr. Paul Lyons said. Instead, UC Riverside School of Medicine must be more judicious in handing out scholarships, Lyons said. It currently covers tuition for about 30 students. Nevertheless, medical researchers say they are watching NYU closely to see what lessons can be learned as the industry seeks to tackle issues that will shape the nation’s health care for years to come.